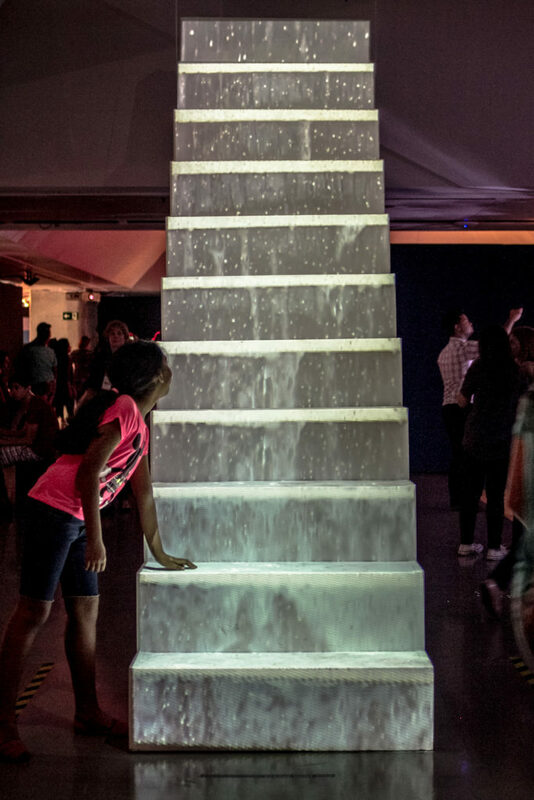 The projection of the water sliding over the stairs challenges the spectator creating a game between absence and presence. Absence of water that is not exactly there, but shows up only represented by a succession of images. The water that exists today, but may not exist tomorrow, becoming a double metaphor of the present and of the future. The moving image shows us the misuse of overly soapy water in a constant leak. Giving way to a contemporary discussion, which is environmental preservation, more specifically, the use and scarcity of water. Angella Conte is a Brazilian artist who lives and works in São Paulo. She has a Psychology degree, but is a self-thought artist who attended several arts and photography courses through the years. The aspirations of her work are found in the interrelationship created between the individual and his/her environment, supporting his/her stories, exchanges and remains over different medias such as objects, photography, installations, videos, interventions and performances.